Do not overprice your home. Overpricing the home from the get-go will hurt us in the long run. Your home will spend longer on the market and thus the offers we receive will end up lower than if we price it competively from the beginning. Trust our recommendations as far as prices. We know our market and can help guide you in the right direction. Do the recommended repairs/updates by your Realtor. 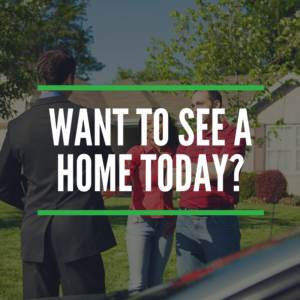 During our initial consultation, our listing specialist will walk through your home and recommend any changes or improvements that need to be made prior to listing. These are important as home buying decisions are based on 3 things: Price, Condition and Location. Look at your home objectively through a buyer’s eyes. It’s hard not to think your home is the best in the neighborhood. Why wouldn’t it be? But try to see its pros and cons through a potential buyer’s eyes (we know it is hard). Don’t take criticism of your home personally as everyone has an opinion. Allow your home to be shown even when it’s inconvenient. The more your home is shown, the quicker we will get an offer. Trust us, we know it is a pain to keep your home show ready at all times, but it will be worth it in the long run. Leave the house during showings and try not to speak to buyer’s agent or buyers. This is important because you don’t want someone to feel like they are walking through “your” home. You want them to feel as though they are walking through “their” new home so it’s important you aren’t there. Stay calm even if you don’t have an offer in the first 60 days. Some homes take longer to sell than others for whatever reason-price range, location, type of home, etc. Don’t panic if we don’t receive an offer right off the bat. Be patient and stay positive. Most of all, trust your Realtor’s advice and expertise. There is no magic bullet for home selling. It takes teamwork and collaboration between ourselves and our clients. We may try different tactics in order to get just the right formula to make your home sell. Buyers want to view your house for the things that are important to them. It is best to leave the home during the showing so the buyers do not feel as though they are an intruder in your home. Buyers over estimate the cost of painting and repairs. Therefore, it is always preferable that you prepare your home to look its best resulting in a faster sale at a higher price. Before showings; turn all your lights on, leave your house, and trust the Realtor to show and sell it for you. Make sure it is inviting. Keep the lawn manicured and your gutters cleaned. Power washing the house, sidewalks, decks, patios, fences and driveways will greatly improve curb appeal. A new coat of paint on the front door and porch rails and new light fixture if tarnished or outdated will give your entrance a fresh inviting look! Inspect for cobwebs in the corners, dusty ceiling fans, and dirty baseboards and always clean or replace carpets. A small investment in time and good cleaning will make your home look its best and give you the greatest return. Remove excess furniture, pictures, collections and posters. Neat, orderly rooms and closets will make rooms look larger! If in doubt, take it out!! Have the intercom or stereo tuned to a station of soft background music. Scented enclosed candles and potpourri give the home a pleasant aroma. A little bit goes a long way so easy does it. Check and repair caulking around the tubs, showers, sinks, and countertops. Make these rooms sparkling clean. Remove as much from all the countertops as possible, especially personal toiletries from bathroom. Start with getting rid of things. You don’t want to pay more to move to the new location. Neatly stacked boxes look much better than cluttered shelves and floors. Begin by removing all unnecessary articles from your closets, attics and garage and place them in storage. Remove all window screens to increase light by 40%. This also ensures your home photos will be more visually attractive to your potential buyers. Open blinds, shades and curtains to show how cheerful your home is. Make sure light fixtures are clean and wash all of your windows. When possible, turn on every light in the house for showings. Many buyers are very pet sensitive. Keeping them out of the way (preferably out of the house) is best. Pay special attention to pet odors. Removal of pets, beds, bowls and toys will reduce pet odor and buyer rejection. A weekly bath and washing of every bed and toy will also help. Steam Cleaning your carpets and furniture will also reduce odor. Empty the cat’s litter box before every showing.